The ADS1130 is a precision, 18-bit analog-to-digital converter (ADC). With an onboard low-noise gain amplifier, onboard oscillator, and precision 18-bit delta-sigma ADC, the ADS1130 provides a complete front-end solution for bridge sensor applications including weigh scales and strain gauges. The low-noise amplifier has a gain of 64, supporting a full-scale differential input of ±39mV. 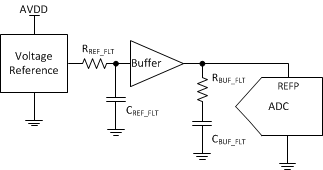 The delta-sigma ADC has 18-bit effective resolution and is comprised of a third-order modulator and fourth-order digital filter. Two data rates are supported: 10SPS (with both 50Hz and 60Hz rejection) and 80SPS. The ADS1130 can be put into a low-power standby mode or shut off completely in power-down mode. All of the features of the ADS1130 are controlled by dedicated pins; there are no digital registers to program. Data are output over an easily-isolated serial interface that connects directly to the MSP430 and other microcontrollers. The ADS1130 is available in a TSSOP-16 package and is specified for operation from -40°C to +85°C.